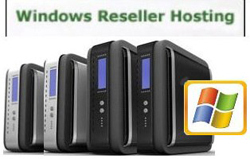 Premium windows reseller hosting plans with robust datacenter support and customized dedicated server configuration. 24x7 tech support and 30 days money back guarantee. Brainpulse’s Windows Reseller Hosting is a great bet for those who want to start their own hosting business without investing huge. If you are eager to package and sell your own web hosting service under your brand, our Windows reseller plans are for you. Brainpulse is inviting individuals and entrepreneurs to set their feet in ever profitable businesses of hosting. Develop your own reseller plans and sell it on a price decided by you only. With every reseller account, we guarantee world-class data center infrastructure for prompt, reliable and secure windows reseller hosting environment. Last, but not the least, our Reseller Windows Hosting Services are hosted on the advanced versions of Microsoft Windows Server 2003 powered by IIS and Plesk control panels. With our reseller windows hosting plans, you get leading Plesk control panel with a number if striking features. It helps you to automate your complex tasks and let you think about the other administrative task. Plesk control panel offers a number of utilities to the users. The database support we offer with our Windows Reseller Hosting India plans is simply amazing. You can avail MS Access and MySQL Database support as per your business requirements. Our database support delivers you a number of benefits you can really count on. 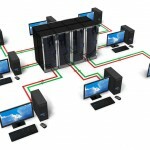 With our database support you have an option to choose between MsAccess / MySQL Databases accounts . It has now become easier to manage MySQL Databases with the phpMyAdmin Panel without restrictions for concurrent connections. With our Reseller Windows Hosting we allow access to traffic tracking tools like Webalizer so that clients get up-to-date information on the latest website visitor trends. It also offers them an opportunity to analyze their website's performance. BrainPulse is a leading reseller hosting solution provider with cutting edge tools. 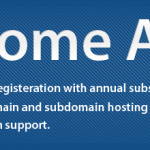 All our hosting plans are supported by major programming languages such as ASP, ASP.NET, PHP and SSI. Now enjoy hassle free system management and scheduled tasks to ensure efficient website maintenance whenever the need arises. We are a reliable reseller hosting solution provider thus understands the importance of information exchange. This is why we offer highly secure and user-friendly e-mail features with our hosting plans. You can create as many as email accounts you want to create. You can also have the access to unlimited auto responders, mail forwarding utilities and above all SpamAssasin to prevent email spam.